Whether you’re updating your home decor or picking out new kitchen countertops, these are the best home improvement apps for iPad! Do-it-yourself can save you money. It can let you get away without having to hire a designer or avoid having to bring in contractors entirely. But what if you need a little help getting started? From estimating budgets, to finding out the perfect paint colors for the kitchen, to double-checking directions for laying down new tile, there are lots of iPad apps available to do just that. Here are the best ones! Houzz is your interior design go-to app when you need inspiration. Not only does it have the largest database of interior design ideas, it’s beautifully designed and fun to use. Design different rooms to your liking, browse Houzz’s Ideabooks for creative ideas, and more. You can even look up professionals in your area to do the work. From architects to tile layers, it’s all there right at your fingertips, complete with reviews. If you need some home design inspiration, the possibilities are endless with Houzz. Digs by Zillow specializes in remodeling and has thousands of ideas available. From featured remodels to those contributed by members, you can browse through ideas for virtually any room in your home. The unique thing about Digs is that it gives you estimates up front on what a specific remodel costs. That way you’re prepared ahead of time before making any decisions. If you need remodel ideas but want cost estimates before getting attached, check out Digs by Zillow. DesignMine is similar to Digs and Houzz. The workflow is slightly different though and gives you design boards that can be laid out many ways. You can then add ideas to each. For example, create a board for kitchen remodel ideas and then pin remodels you like to it. It’s a great way to visualize what types of colors and elements blend well together. And like Houzz you can also find professionals in your area to help with harder or more complicated home projects. If you need help matching colors, elements, and styles, DesignMine is a great source of inspiration. Benjamin Moore arguably makes some of the best paint colors on the planet. The Digital Editions app for iPad lets you browse through different collections as well as view the entire product portfolio for the year. Different editions feature different collections and most have illustrations and photography to go along with so you can visualize specific color palettes. If you need help deciding what color palettes to go with or how to theme a room, Digital Editions gives great suggestions. ColorSmart is an excellent app for matching tones before you paint, whether you’re going with BEHR paint or not. You can choose tone families so if you’re trying to avoid a grey that looks purple in certain lights, a tap rules out colors that fit that gamut. It doesn’t get any easier this when it comes to picking paint colors and palettes. If your picky about color tones and palettes, ColorSmart is a great app to help you pick great ones. wikiHow isn’t technically a home improvement app but it does offer tutorials on pretty much every topic on the planet. That includes home improvement. Whether you want to tackle hanging drywall on your own or want to tackle installing tile for the first time, wikiHow has you covered from start to finish. If you’re looking to make home improvements without the help of professionals, every DIY’er needs wikiHow. 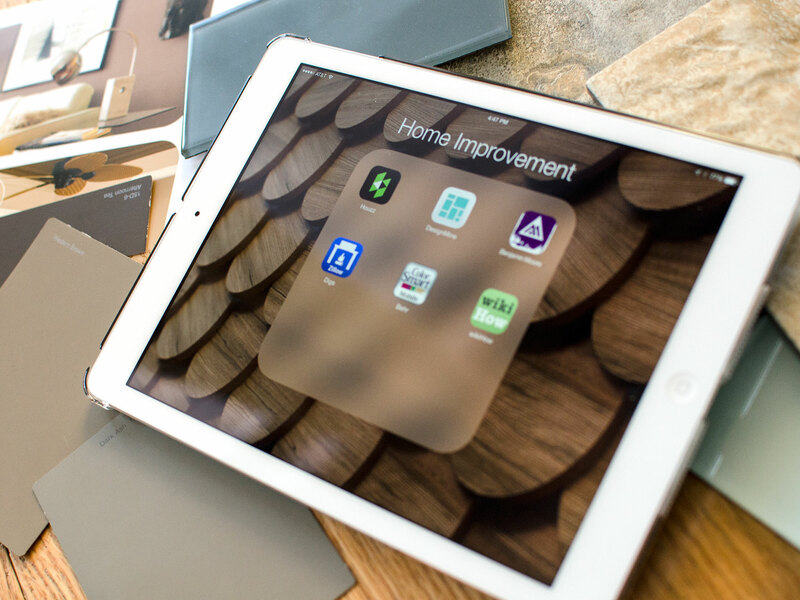 If iPad apps have played a part in your home improvement and design projects, let me know which ones and how they worked out for you!